A well-controlled pain is one of the most important targets of enhanced recovery after surgery (ERAS) protocols. Recent studies questioned the role of TEA (thoracic epidural analgesia) in support of less invasive techniques, in particular in laparoscopic mini-invasive surgery. The aim of this study is to compare patients undergoing laparoscopic mini-invasive colorectal surgery and receiving different analgesic techniques. Prospectively collected data entered in the electronic registry of POIS (Perioperative Italian Society) specifically designed for ERAS were reviewed. 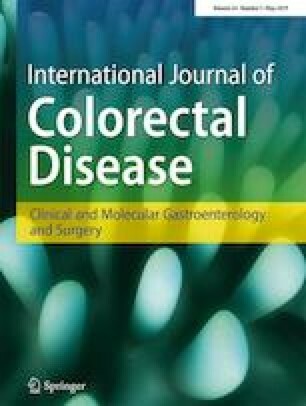 Patients undergoing colorectal laparoscopic surgery were divided in two groups according to TEA or parenteral opioid administration. In comparing TEA and opioid groups, propensity score weights were obtained. Postoperative pain control and time to readiness for discharge (TRD) were considered as primary endpoints of the study. Secondary endpoints were postoperative morbidity, PONV (postoperative nausea and vomiting), hours of mobilization, length of hospital stay (LOS), timing of fluid and solid re-assumption, and recovery of bowel function. Fourteen Italian hospitals reported data on 560 patients (283 TEA, 277 opioid group). Patients of the opioid group were able to mobilize for a longer period than TEA group patients but presented a higher incidence of PONV. Pain intensity and TRD were similar in both groups. LOS was significantly reduced in TEA patients; also, this result was clinically irrelevant (5.7 ± 3.21 days TEA group vs 5.8 ± 2.92 opioid group). In patients undergoing laparoscopic colorectal surgery, TEA was not associated to a better pain control or to an improvement in postoperative outcome compared with opioid administration. Marco Scatizzi MD, Felice Borghi MD, Giancarlo Missana MD, Marco Azzola MD, Andrea Muratore MD, Michele Crespi MD, Riccardo Iuliani MD, Carlo Bima MD, Hedayat Bouzari MD, Andrea Pisani Ceretti MD, Luca Pellegrino MD, Marianna Maspero, Umberto Casiraghi, Ferdinando Ficari MD.